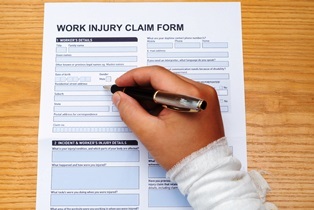 Florida’s Exclusive Remedy for Workers’ Compensation Injuries | Johnson & Gilbert, P. A.
Florida's workers' compensation law provides, in most instances, that workers' compensation is the "exclusive remedy" for job-related injuries and deaths. This means injured employees are prohibited from suing their employers for accidents suffered while on the job. The only option is to file a workers’ compensation claim. This is true even if the employer's conduct caused the injury, such as a machine leaking oil causing a worker to fall. However, there's a limited exception to this rule. Florida’s workers’ compensation system is a no-fault system which provides individuals with benefits when they suffer injuries in an accident, or develop an occupation illness that is job-related. They're entitled to benefits in most cases, regardless of what or who caused their injuries—even themselves. The benefits they can receive are to pay for their medical expenses and a portion of their lost wages. They cannot be awarded damages such as pain and suffering, emotional distress, loss of enjoyment of life or any other form of compensation normally associated with a personal injury claim. No workers’ compensation insurance. If an employer failed to provide workers’ compensation benefits as required under Florida law, an employee has the right to file a personal injury claim if the employer’s negligence caused the injuries or illness. Intentional tort. If the employer’s negligent conduct is considered an intentional tort, workers’ comp isn't an exclusive remedy. However, it's extremely difficult to prove. It must be shown that the employer either deliberately intended to injure the person; or engaged in conduct the employer explicitly knew based on warnings was “virtually certain” to cause a person’s injury or death. While the exclusive remedy aspect of workers’ comp may prevent you from pursuing a claim against your employer, you may still have a third-party claim against another negligent party, such as sub-contractor, negligent driver, manufacturer of defective products, and other entities. This may be a way to recover some of the damages you can't receive in a workers’ comp claim, such as all of your wage losses and compensation for pain and suffering. It's a complex process to determine whether workers’ compensation is your only remedy for your injuries and how much you're entitled to receive. Our experienced workers’ compensation attorneys can explain your rights and pursue all avenues of compensation. Schedule your free consultation today—simply fill out the contact form on this page to get started.